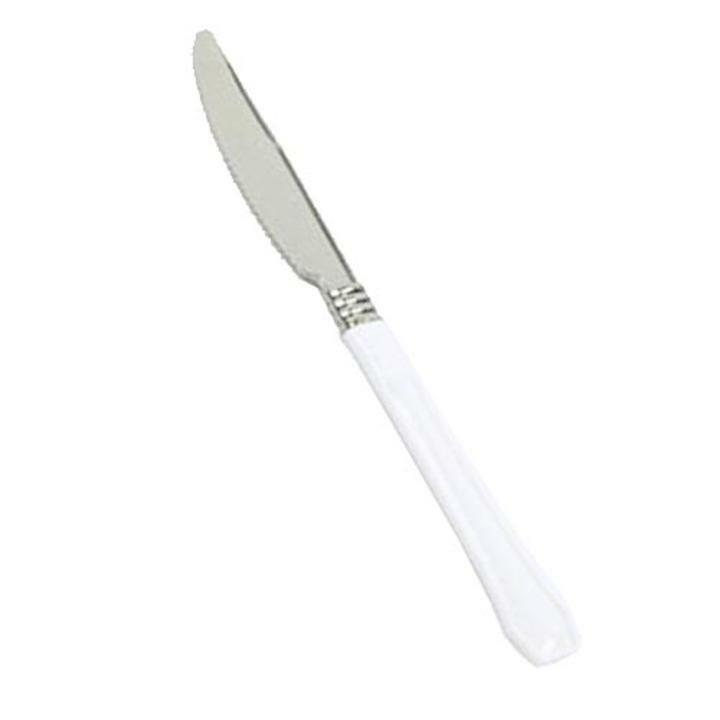 Reflections Silver & White Plastic Knives - 20 Ct.
Looks just like real cutlery! Perfect for weddings, engagement parties, and more! Reflections Silver & White Plastic Forks - 20 Ct.
Reflections Silver & White Plastic Spoons - 20 Ct.
Impress your guests at your next event with our high quality Reflections cutlery. Each knife features a timeless white handle - combining the convenience of a disposable with the stunning appearance of real cutlery. Reflections flatware is a simple, cost effective way to turn a wedding, engagement party, or formal affair into a glamorous event!